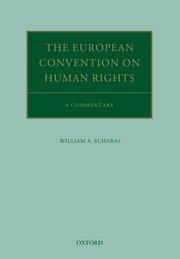 "The European Convention on Human Rights: A Commentary is the first complete article-by-article commentary on the ECHR and its Protocols in English. This book provides an entry point for every part of the Convention: the substance of the rights, the workings of the Court, and the enforcement of its judgments. A separate chapter is devoted to each distinct provision or article of the Convention as well as to Protocols 1, 4, 6, 7, 12, 13, and 16, which have not been incorporated in the Convention itself and remain applicable to present law. Each chapter contains: a short introduction placing the provision within the context of international human rights law more generally; a review of the drafting history or preparatory work of the provision; a discussion of the interpretation of the text and the legal issues, with references to the case law of the European Court of Human Rights and the European Commission on Human Rights; and a selective bibliography on the provision. 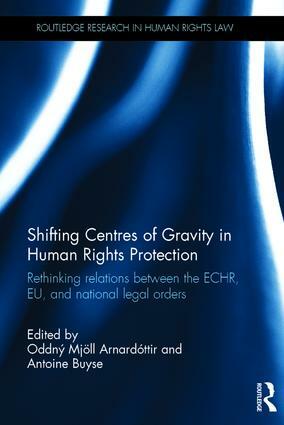 Through a thorough review of the ECHR this commentary is both exhaustive and concise. It is an accessible resource that is ideal for lawyers, students, journalists, and others with an interest in the world's most successful human rights regime." "It may be argued that, in the light of the Interlaken-Izmir-Brighton-Brussels reform process, the European Court of Human Rights/Convention system has reshaped itself significantly over the last 5 or so years, possibly reflecting a new distribution of powers between Strasbourg and the member states. This may or may not be a good thing. Does it reflect a natural evolution of the Convention system, or the necessary adjustments required of a Court that is under pressure and strain? This half-day event, held on the fourth anniversary of the Brighton Declaration of April 2012, will provide opportunity to hear leading experts consider how the Strasbourg Court has evolved in recent years, and reflect upon its longer-term future. Speakers will also consider how the reform process might inform debate in the UK about the European Court/Convention system and a possible British Bill of Rights. Part one of the event will address how the Court has evolved in recent years, in terms of the approach it adopts to resolving certain cases on their substantive merits. Part two looks more specifically at the reform process initiated at Interlaken and Brighton. A focal point will be the CDDH's report of the 'Longer-term Future of the system of the European Convention on Human Rights', and its implications." The full conference flyer can be found here.